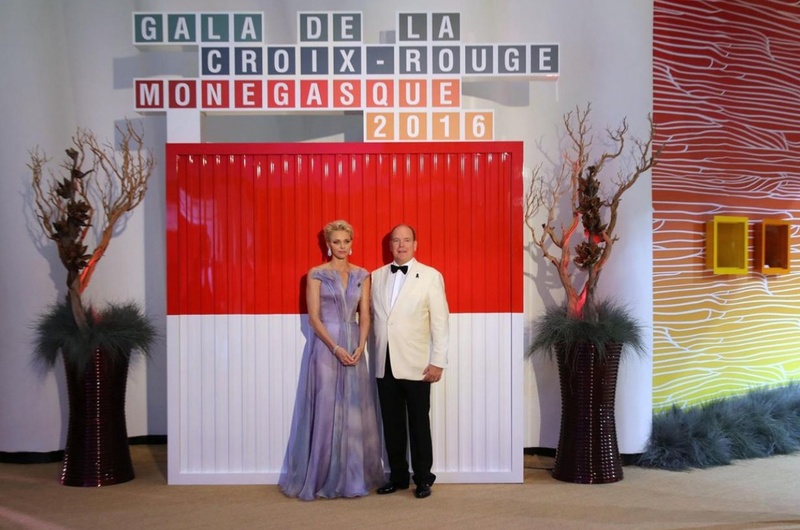 (VIDEO) The Prince and Princess of Monaco Attend the Gala de la Croix-Rouge Monégasque. On the evening of Saturday, July 23, 2016, Their Serene Highnesses Prince Albert II and Princess Charlene of Monaco attended the 68th Edition of the Gala de la Croix-Rouge Monégasque held inside the Salle Des Etoiles at the Sporting de Monte-Carlo in Monaco. Established in 1948 by the late His Serene Highness Prince Louis II of Monaco the annual gala is held for the “… generous donors and pays tribute to the work it [the Croix-Rouge Monégasque (CRM)] has been able to carry out with the donations, which finance its actions both locally and internationally…” according to a CRM press release. Please click the links below to view photos from the event.